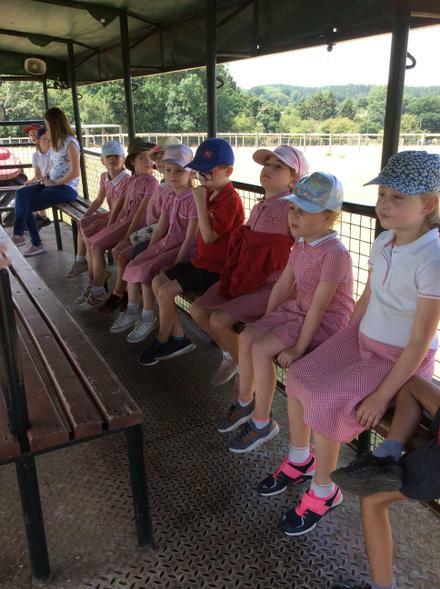 Welcome to Year 1 Class 2018-2019! 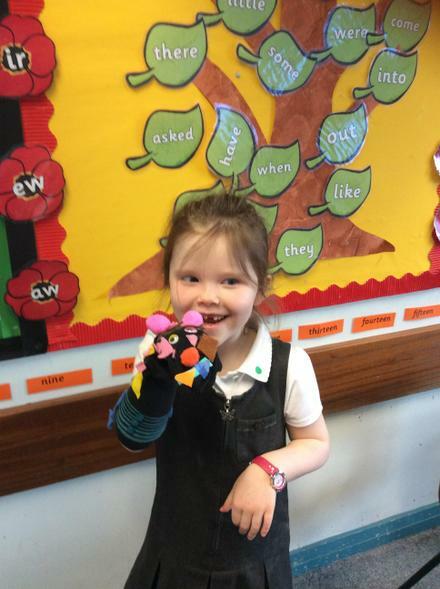 Year 1 have been looking at primary colours and tints. 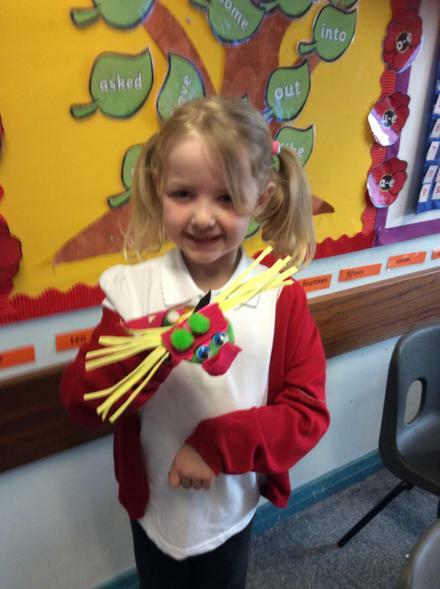 They have produced these wonderful pictures in the style of Mondrian. 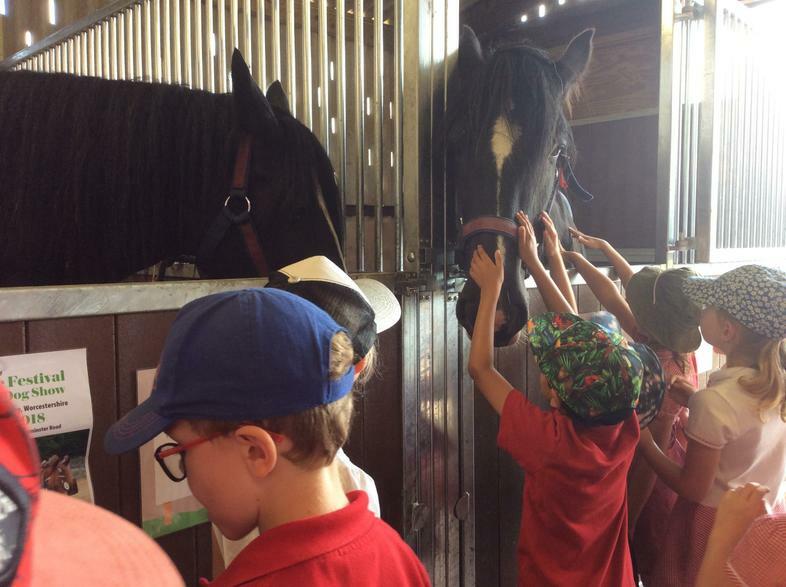 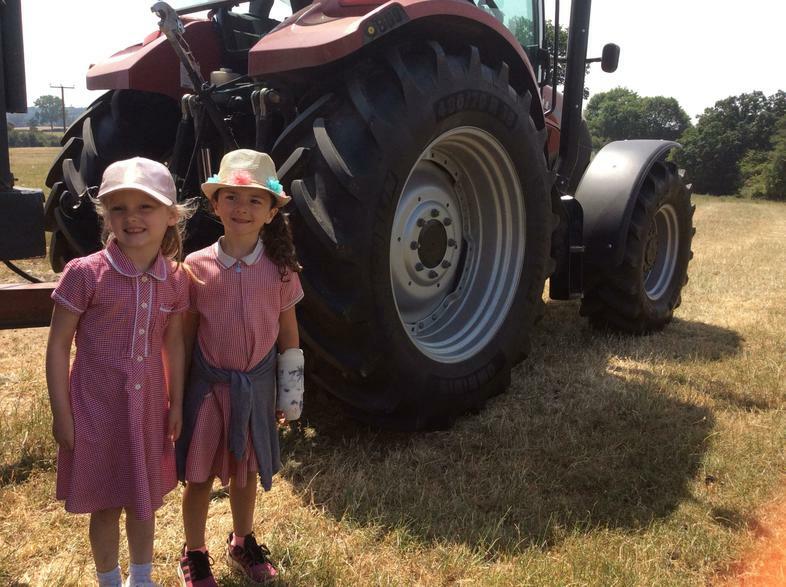 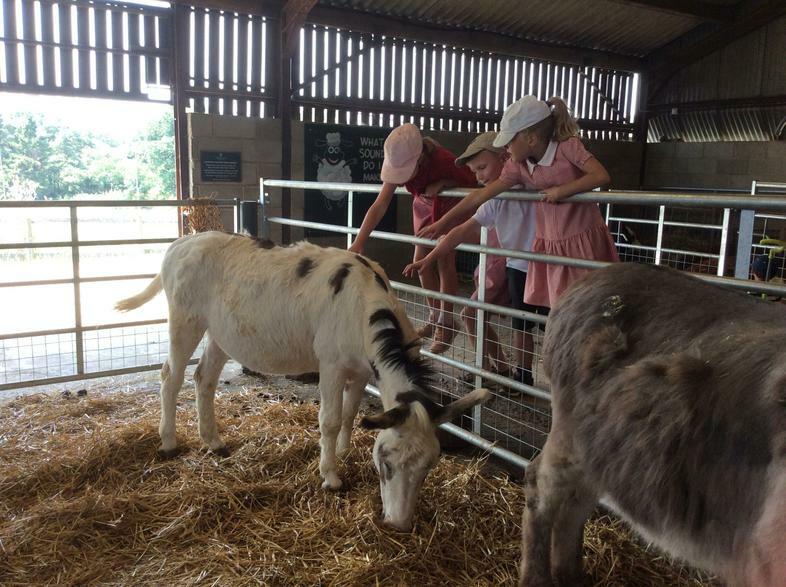 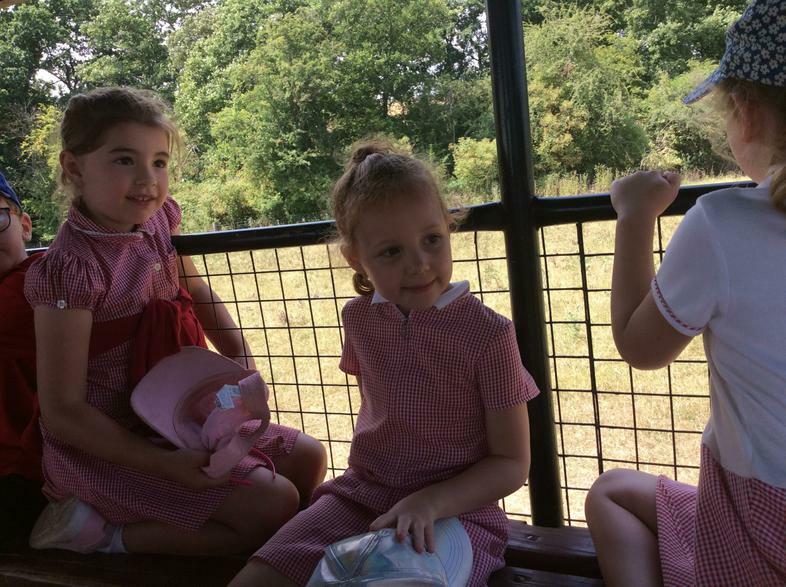 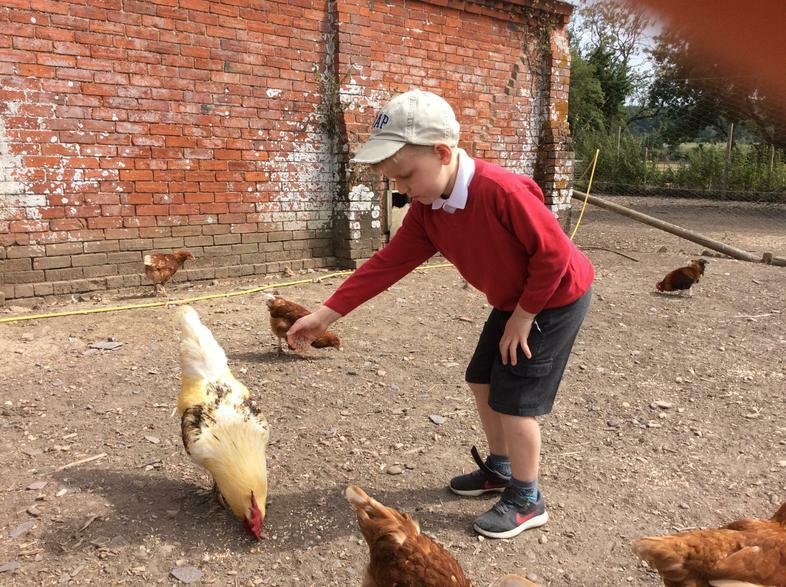 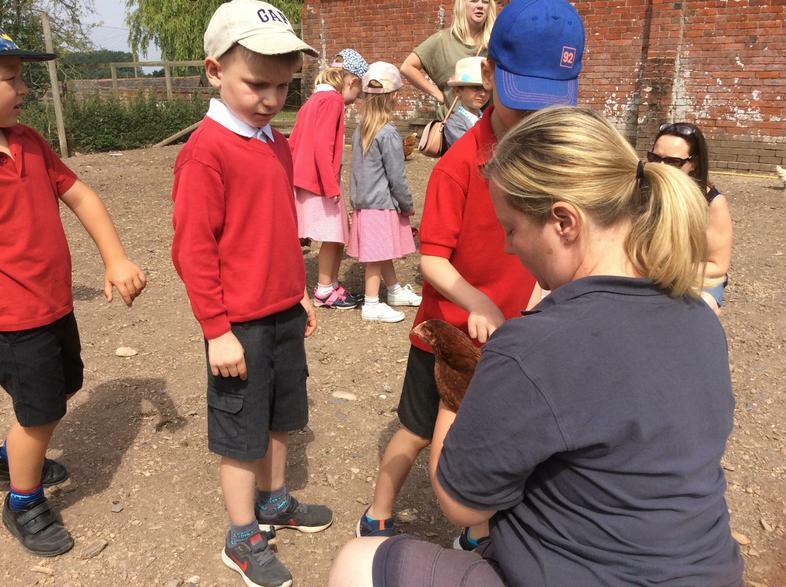 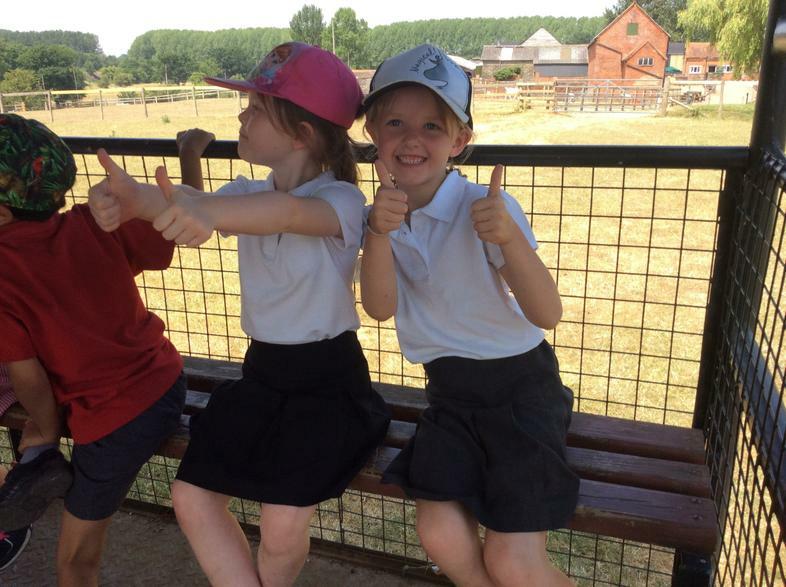 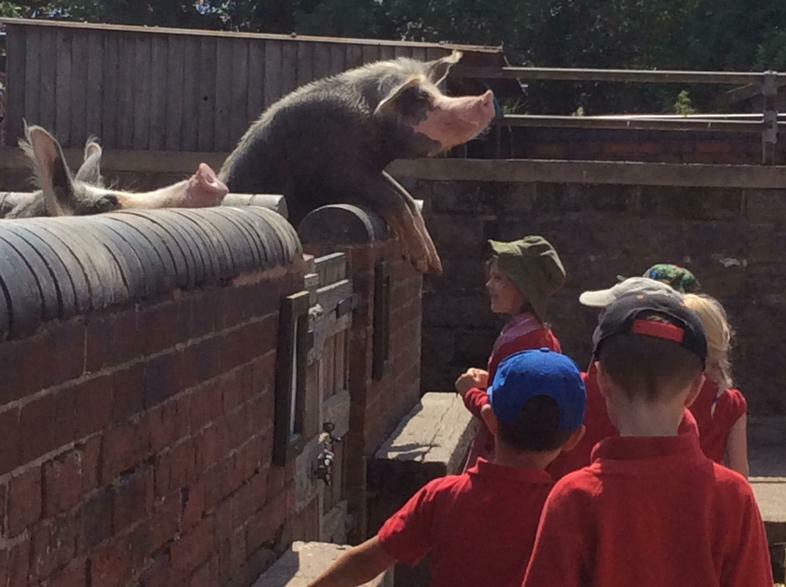 We had a lovely day at the farm meeting and handling lots of different animals and learning about their care. 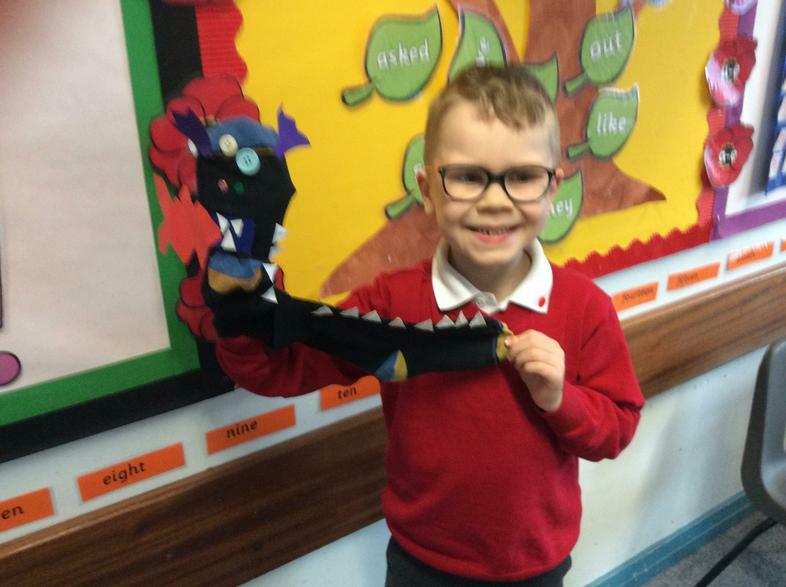 these self portraits in his style. 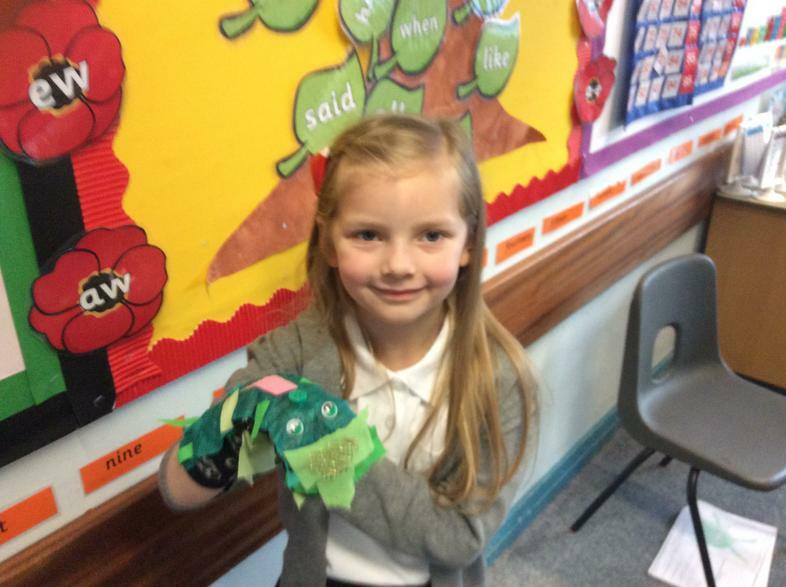 We decorated the background with lots of detail and to finish added metallic collage. 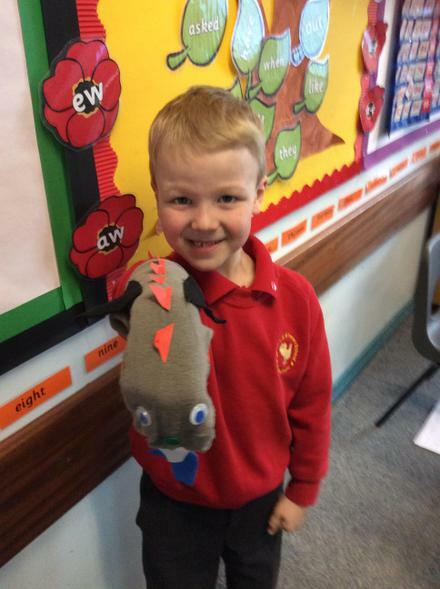 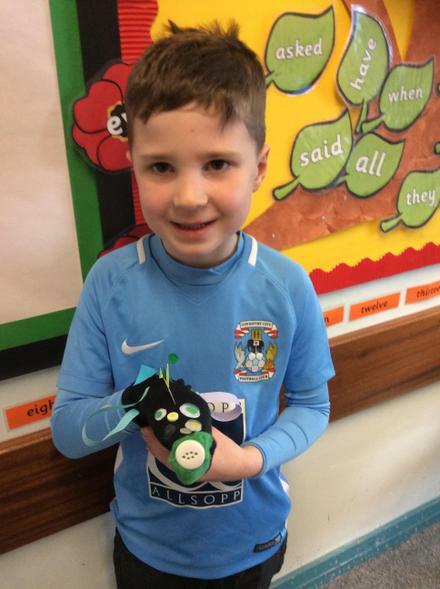 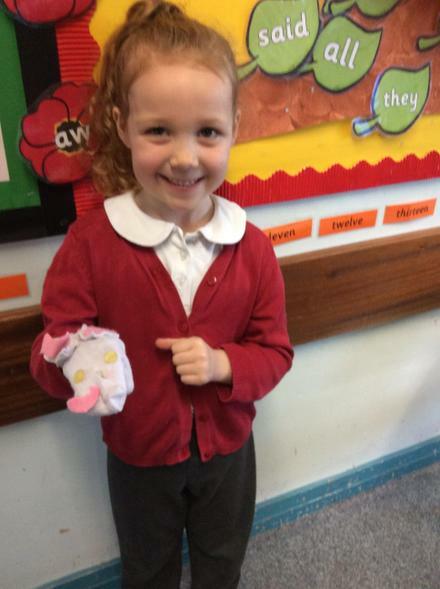 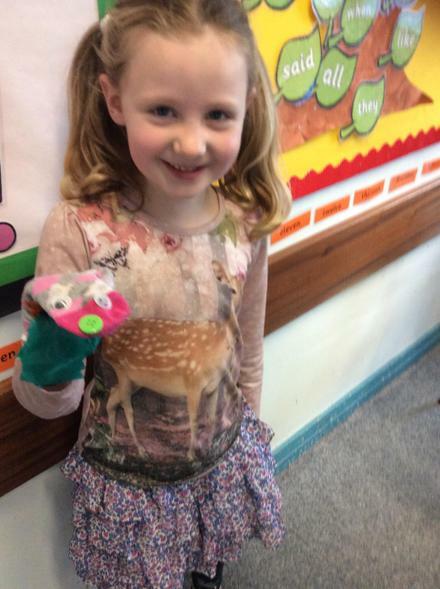 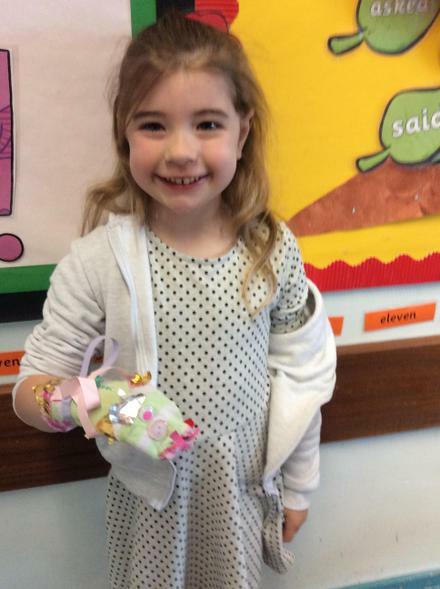 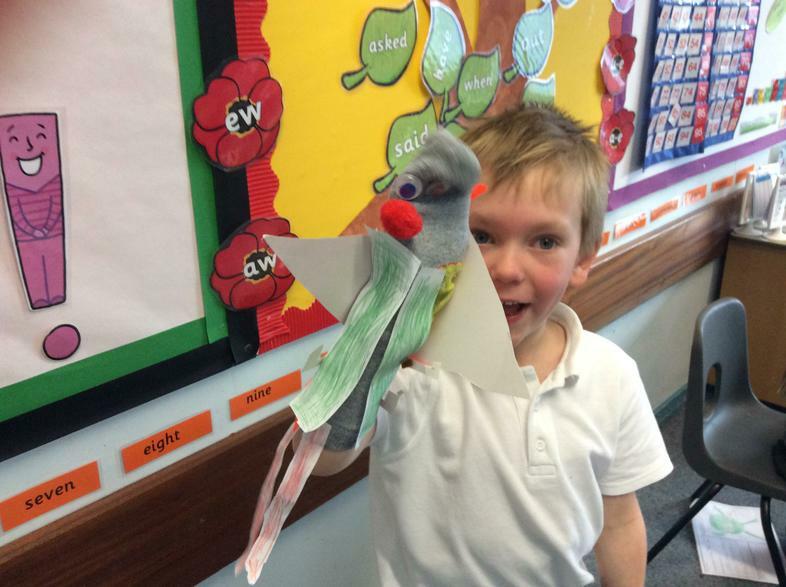 In Design Technology Year 1 have enjoyed making their puppets from socks. 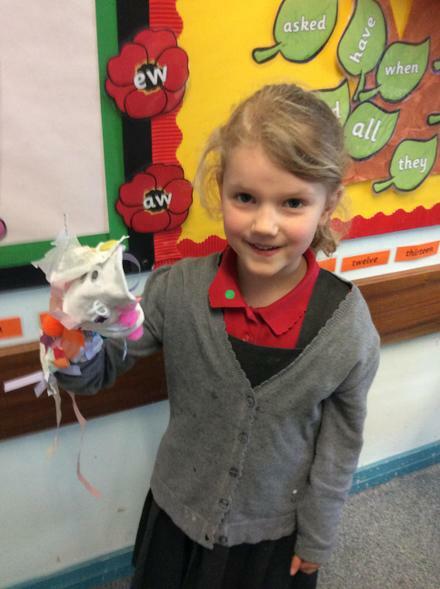 They came up with a really fun variety of designs and thought carefully to add appropriate features. 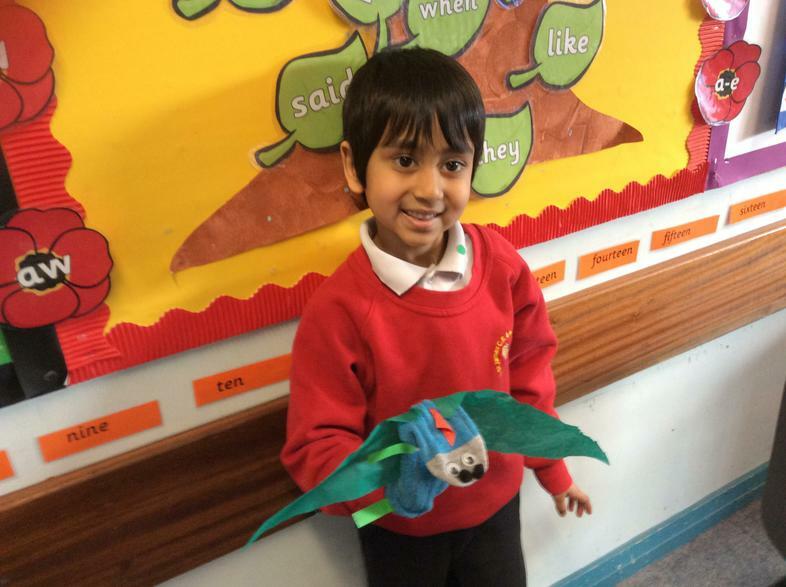 Year 1 have been learning about the Great Fire of London that took place in 1666. 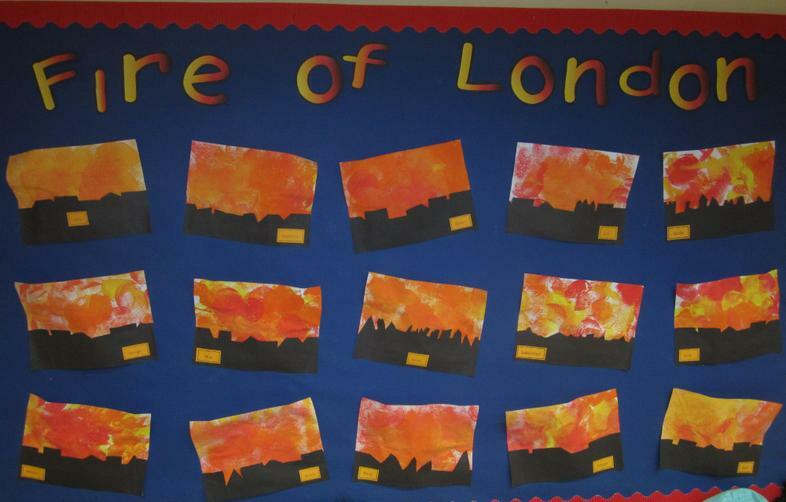 They created vibrant pictures using a sponging technique and with silhouettes of buildings you can see the dramatic burning scene that would have been visible at the time. 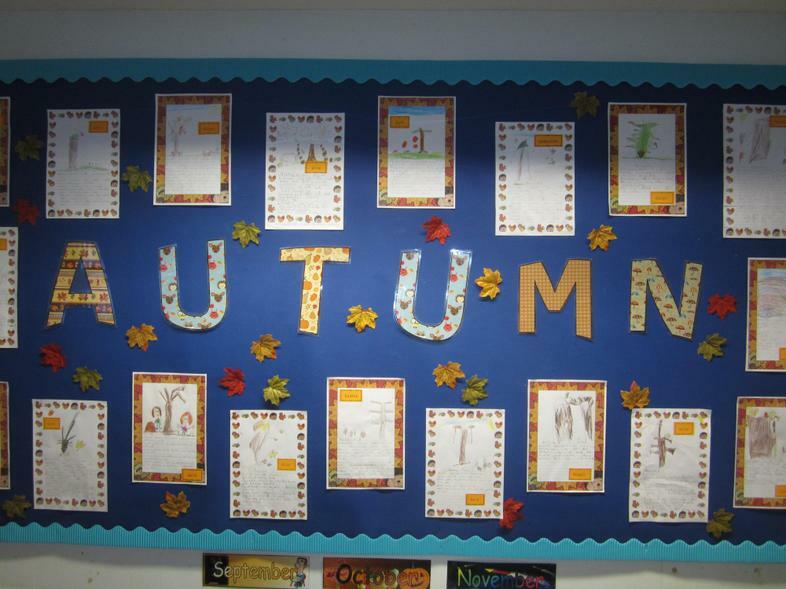 Autumn in our literacy lessons. 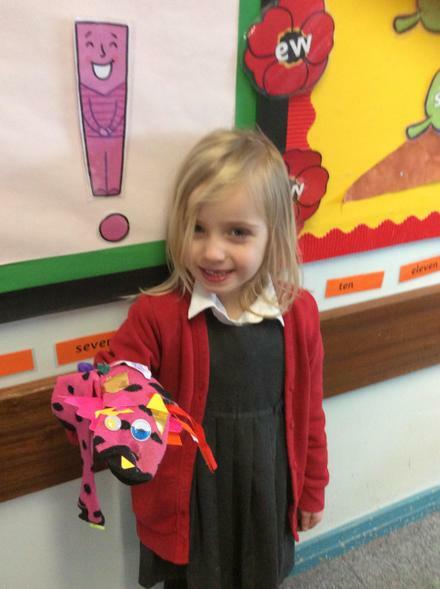 We looked at the story "Giraffes Can't Dance" then wrote about something we enjoy doing. 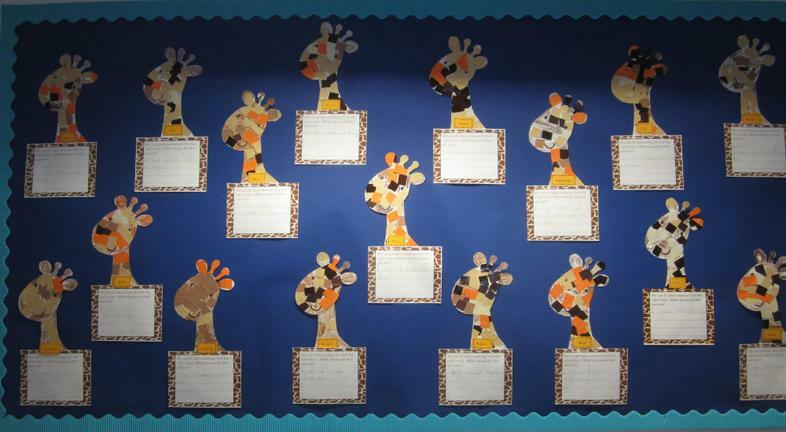 Our writing is displayed on our collaged giraffe heads which make for a striking display. 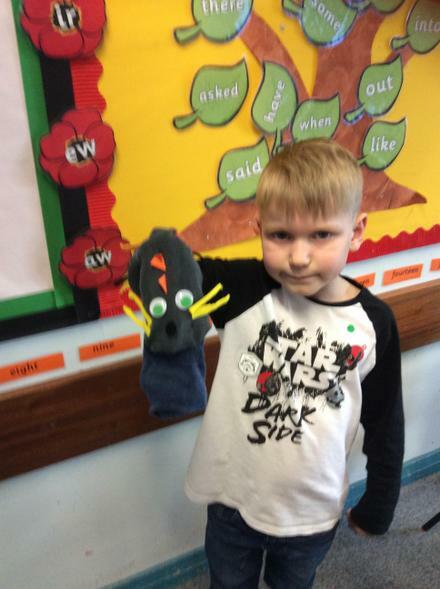 We looked at this traditional tale in literacy. 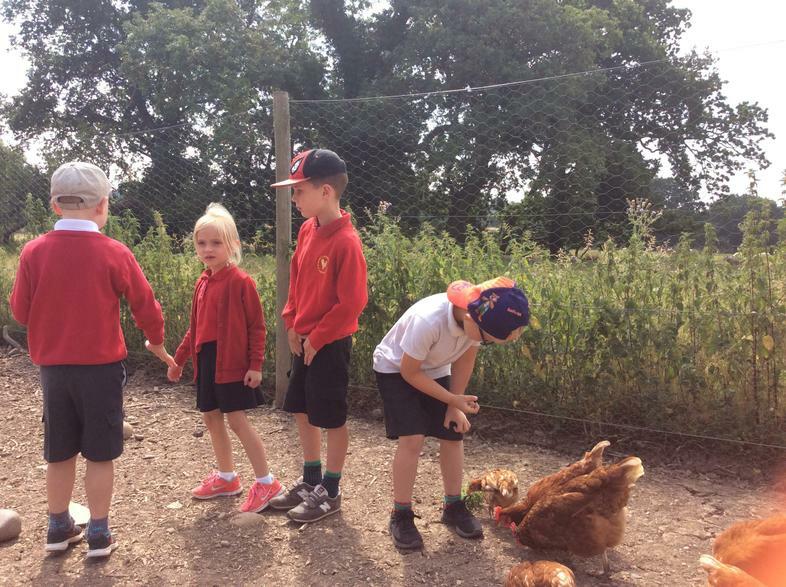 to help us re-tell the story. 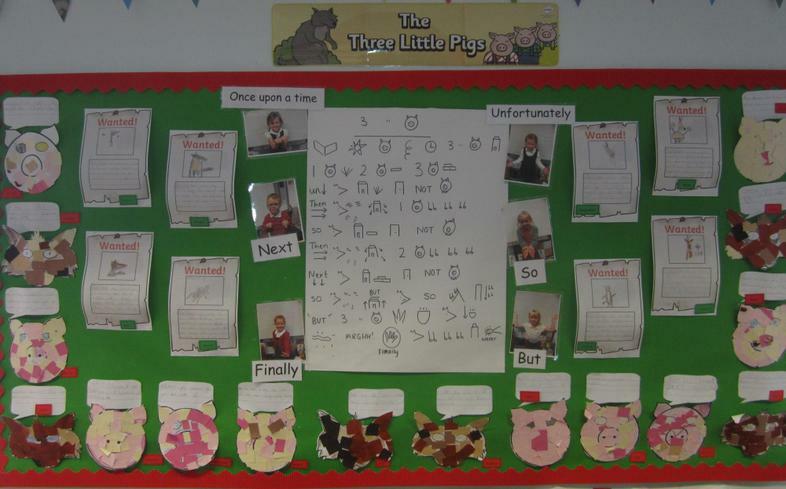 You will see we have also been thinking about connectives.